Chris A. Owens, A.V. rated by Martindale-Hubbell (the highest rating), has over 30 years specific experience in estate, tax and business areas of law. 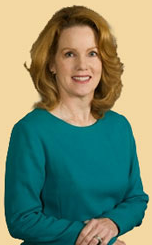 Chris has recently become associated as counsel to the law firm of Jensen Hassani & Focas, P.A. Chris has been named to the list of Super Lawyers of Maryland for 2008 through 2019 (less than 5% of attorneys in Maryland are named to this list). Legal emphasis of the practice and resources are focused on: Estate Planning, including Last Wills and Testaments, Trusts, Elder Law, Estate and Gift Tax planning, Powers of Attorney, Charitable and Retirement Planning, Living Wills/Advance Directives. Estate and Trust Administration, including probate, settlement of estates, representation before IRS for estate, gift and fiduciary income taxation, and trust law. Business Succession Planning, including business law and planning for continuation of a closely held business at retirement or death. Jensen Hassani & Focas, P.A. Fixed Fees. A fixed fee arrangement accommodates most estate planning. During the first meeting clients describe their situation and goals, and we educate them about their suitable planning options. On determination and selection of the desired plan and accompanying documents, we can then suggest a fee. It is difficult to anticipate what will be the prescribed plan and corresponding fee until after this information exchange takes place in the first meeting. The work is commenced only upon agreement. If clients choose not to proceed, the only fee charged is a reduced nominal fee of up to $300 to cover the legal and tax advice (often extensive) that is imparted in the first meeting. The fixed fee estate planning package encompasses: a meeting for the exchange of information and for education about appropriate specific planning options and legal and tax issues; preparation of drafts of documents, a meeting for signing review of the documents, execution of the documents, and instructions for any other steps in the plan. Hourly. For situations that are less defined or more open-ended, the amount of legal time expended would be tracked at rates up to $395 per hour for senior attorney time and lower hourly rates for associates and legal assistant time. Chris A. Owens will represent your Estate Planning legal matters. University of Baltimore, Class of 1984, J.D. -Washington College, Class of 1973, B.A.